Toyota and Servco Pacific Inc. have partnered to test a new car-sharing technology in Honolulu, Hawaii. When the employee-only pilot testing program concludes, Servco, the distributor of Toyota vehicles in Hawaii, will use the car-sharing technology to launch a new Honolulu-based car share business by the end of 2017. The suite of software and services is an important part of Toyota’s Mobility Services Platform (MSPF). 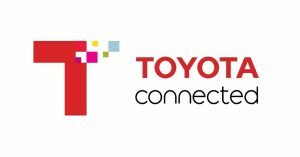 Toyota last year had established a Mobility Services Platform (MSPF) to collaborate with various service providers, as well as telematics insurance. Based on the proliferation and popularity of mobility services, like car-sharing; the MSPF aims to have various functions to support mobility services, and leverage the Toyota Smart Center (TSC), the Toyota Big Data Center, and financial services. Since January 2017, Toyota has been working with Getaround on the car-sharing pilot program in San Francisco, Calif., verifying convenience and usability of the SKB. Thanks to the pilot test with Servco, Toyota continues to enhance the car-sharing application and MSPF. Eventually, Toyota will also begin working with other dealers and distributors to tailor the core technology for their markets, aiming for safe and more convenient, customer-centric mobility services. Ashok Gupta, IRC (India) Ltd.